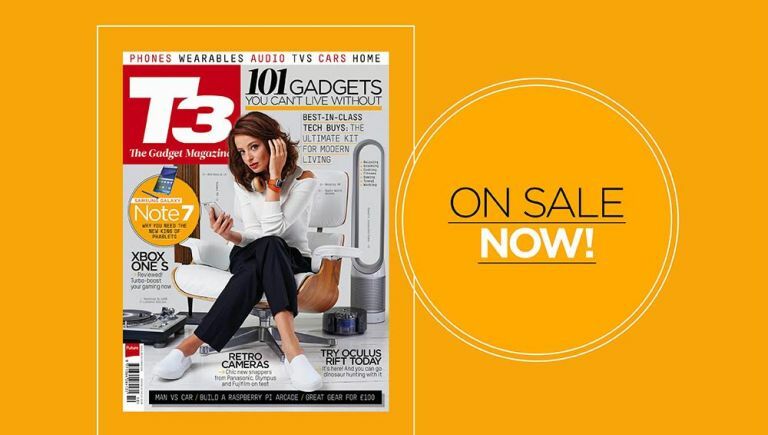 The latest tech-packed issue of T3 is here, and we have a treat in store for you this month. We've painstakingly selected 101 of the best new gadgets out there – the ultimate kit for modern living, you could say. We've covered the best kit to help you relax and chill, look sharper, rediscover the kitchen, feel healthier, sleep better, stay secure in your home and much more. It's the only list you need to quench your gadget thirst. Elsewhere this issue, we review the brand new Xbox One S; venture into past lands and go dinosaur hunting with Oculus Rift; and bring you the best in retro cameras as Panasonic, Olympus and Fujifilm battle it out to get our five-star badge. Pick it up today from all good newsagents or at www.myfavouritemagazines.co..